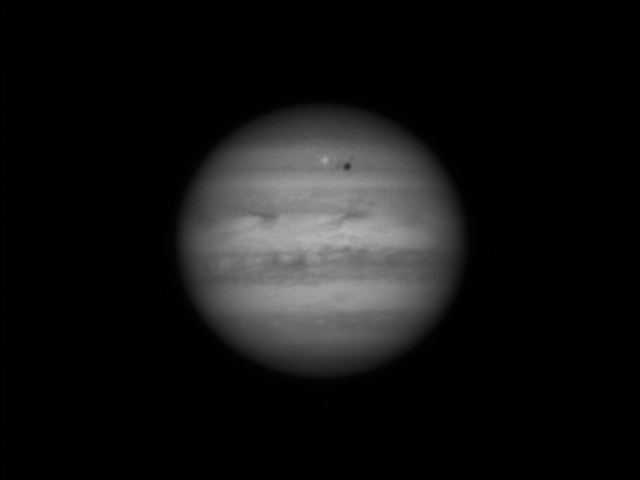 Ganymede transit + shadow. I find it very difficult to align all 3 channels when doing RGB of these moon events, so I quite often leave them as a mono image. C9.25,Asi120mm + 742 filter, 180 seconds. Stacked in A/S2, sharpened in IMPPG.